Grand gestures, kind words and little acts of love call for a handwritten note on pretty, personalized stationery. 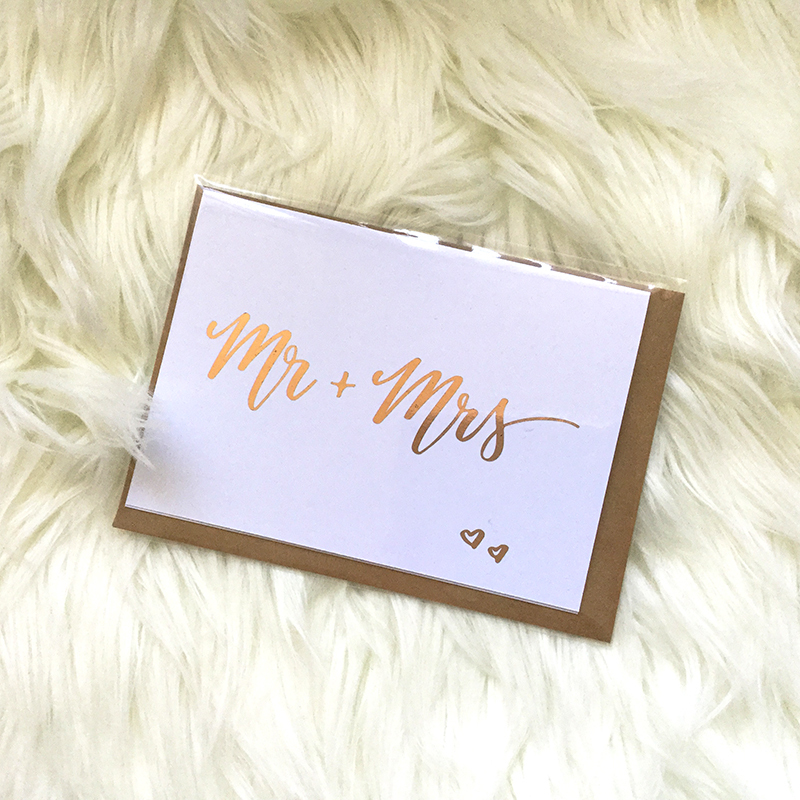 This elegant metallic rose gold foil card with “Mr + Mrs” written in brush calligraphy, features two little hearts and has been left blank inside so you can express your well wishes to the newlyweds. Comes with a kraft envelope. The Mr + Mrs Rose Gold Foil Blank Wedding Card design is by Jess Matthews Designs. 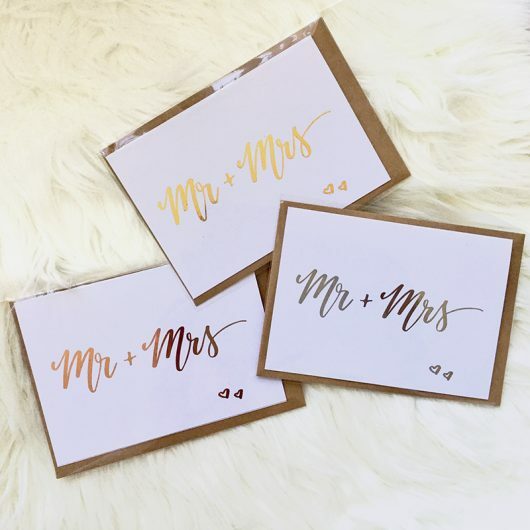 The typography has been hand written in a brush calligraphy style and finished with a metallic rose gold foil. Printed on premium 300gsm card, the card comes individually packaged in a cellophane sleeve with a recycled Kraft envelope. 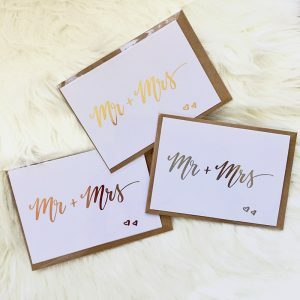 This design is also available in gold foil and silver foil in our wedding section.